I have tomatoes "coming out of my ears" this year and I think it's the sun that did it. The only downside is that some of the 'Ailsa Craig' have a tendency to split due to the change in temperature and rain. 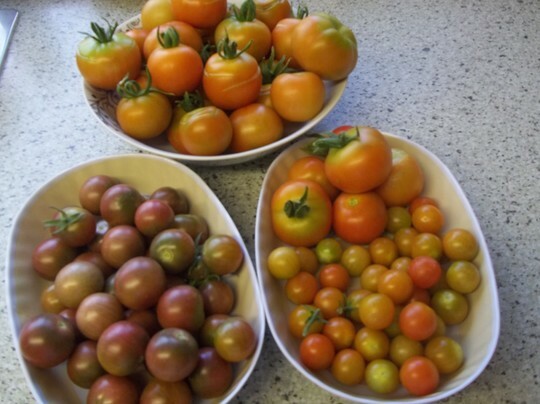 What a harvest, some of those nice small tasty varieties there. The split ones are the first to get eaten. Just slice 'em & toss them into the salad. Nobody will ever know. Mine split too. Lots of chukney then what a crop.